Gonsalves Real Estate Properties has a good reputation is based on our ethics and open communication with clients and third parties. We pride ourselves as a very professional and positive organization. Our marketing strategies and sales expertise have been proven effective by continued growth each year despite the current real estate climate. We have a large data base of clients, extensive networking in the community and we maintain memberships in many professional real estate associations. We feature a high quality web site, our facility and technology capabilities are state of the art and we are centrally located in East Sacramento. Gonsalves Real Estate Properties is a Certified Short Sale Expert. This is the highest standard of certification for Sacramento short sale brokers. We have been very active in the distressed real estate market for the past four years and has established relationships with many lenders, institutions and servicers. Lisa Haley has successfully closed over 300 short sales during the past five years of her 16 year real estate career. Lisa’s position at Gonsalves Real Estate Properties is dedicated to short sale transactions and her track record is proof of the success she can help you to achieve! 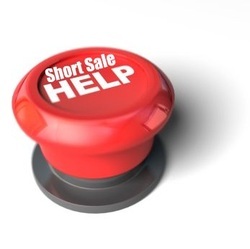 Lisa is an additional tool that enables Gonsalves Real Estate Properties to close your short sale successfully!